You are surprised how low the top 1% income levels are. 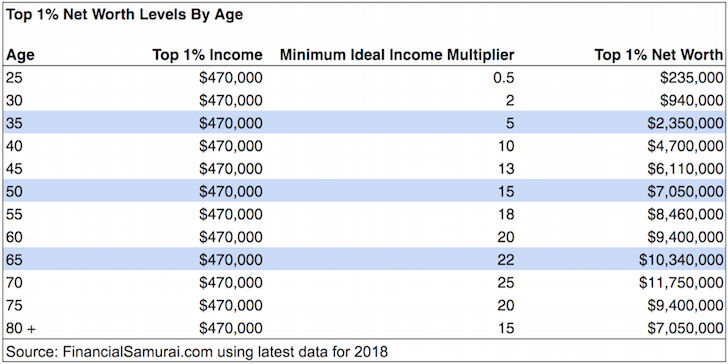 I’m somewhat in agreement that the top 1% income levels for all the age groups looks a little light compared to the overall median top 1% figure of $380,000 as reported by the IRS several years ago. But the income levels are all the MINIMUM amounts you need to make in order to be classified in the top 1%. In other words, making $210,000 as a 32 year old puts you in the top 1% for your age group, but so does making $350,000. Several folks also quibbled whether the income numbers were gross income numbers, adjusted gross income numbers, or reported income numbers. Well of course the income numbers are reported income numbers because reported income is taxable income and all the IRS can go by. I’m sure there is a huge amount of unreported income that is hard to quantify. In other words, the minimum income figures to get to the top 1% for each age group are also less than what people really make! For most people, I recommend following my Net Worth Targets By Age, Income And Work Experience post if you want a challenging, but highly realistic guideline for wealth accumulation. The magic multiplier is 20X. Once you’ve accumulated 20X or more of your average gross income, you should have no problem planting the Financial Freedom flag in your backyard! But for those of you who like to continue being challenged, let me share my latest net worth targets by age for the top 1%. After all, the more you make, sometimes the easier it is to go crazy and spend all your money. 1) A top 1% income for all age groups gets rounded up to $470,000 after adjusting for inflation and using the latest data from the Economic Policy Institute and The Washing Center For Equitable Growth. The $380,000 income figure is from circa 2013 data. I use $470,000 for all ages starting at 25 to keep consistent with the overall median top one percent income figure for all tax returns. 2) The top 1% net worth figures are based on my latest net worth target income multiples. I believe most of us can achieve these income multiples if we meticulously track our net worth, invest our money wisely, and spend extra effort earning. One income stream is often not enough. 3) A belief that it’s a waste of money to die with more than $6,000,000. The estate and gift tax exemption is $5,490,000 per person for 2017. I’m making the assumption the exemption amount goes up over time to account for inflation. Allowing the government to tax you ~40% on any wealth above the exemption amount is a travesty. Please spend or donate your money to a worthy cause. 4) Everybody will live until the median life expectancy of 80, but we know this not to be true. Hence, if you’re fortunate enough to make $470,000+ a year, come up with a plan to live a balanced lifestyle so that in case you do die earlier than expected, you’ll have at least lived well. Here’s a variation using the different income levels by age required to be in the top one percent as reported by Professors Guvenen, Kaplan, and Song and adjusted for inflation since their 2013 report for 2018. 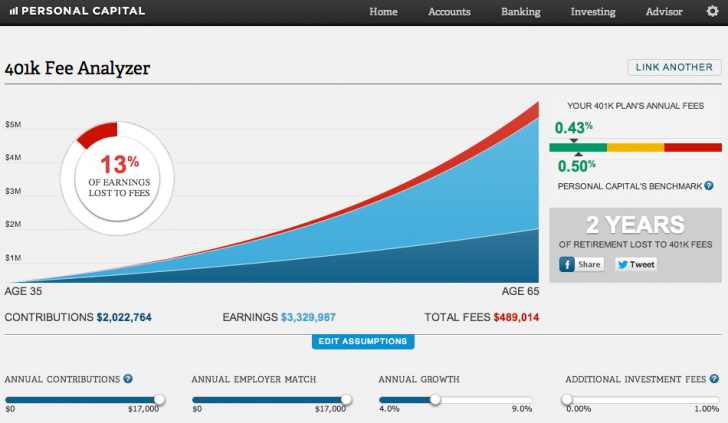 It’s unreasonable for a 25 year old or 30 year old to make $470,000. Therefore, it’s good to look at one a top one percent income level is for each age group. The methodology below is a more precise way to measure the top one percent net worth given wealth is relative to age. After the age of 65 and $11,750,000, it doesn’t really matter what you do with your money. Again, just make sure you donate any money over the $10.9M estate threshold to good causes so you don’t pay a ~40% estate tax on anything over. 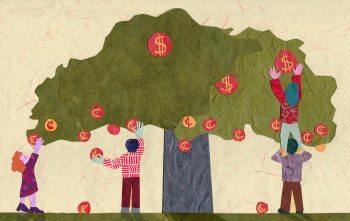 The more you make, the easier it should be to save and grow your money. You only need so much for food, clothing, transportation, and shelter. Everything else is discretionary, which means it’s up to you to be disciplined. If you make over $400,000 a year and can’t save at least 30% of your gross income, then you’ve probably got a spending problem. There are certainly those who make top 1% income who are living with a lot of money stress. But such stress is largely self-inflicted. Lifestyle inflation is almost an inevitability once you start making big money. This is why paying yourself first is a must no matter how much you make. What’s nice about my 20X income multiple is that it really doesn’t matter how much you make to achieve financial independence. At each level of income, we will learn to live within our means. With a top 1% income, you’ve got a lot more flexibility. If you choose to maintain a top 1% lifestyle, then $8,000,000 is a realistic net worth figure to shoot for. A $5,000,000 net worth is the #1 vote getter in the FU money poll, which asks how much money you think you need to feel financially free. But $5,000,000 is 50X the rough median income of 17,800+ entries in my income poll. People are actually overestimating how much money they really need to be financially free by a 30X multiple! Since I left the work force in 2012, I’ve discovered I overestimated how much I would need in retirement by roughly 30%. We have a tendency to overestimate what we need because we fear the unknown. We also forget that once we retire, we no longer need to save for retirement! Almost every other retiree has told me they also overestimated how much they needed. Whenever I lack motivation to grow my net worth, I like to jog around the Gold Coast of San Francisco and check out the $20 – $50M mansions that line Pacific Avenue. I know I’ll probably never be able to afford such nice places overlooking the Bay, but I still find inspiration in the success of others. Every single homeowner on the Gold Coast is an entrepreneur. When you review my charts, I want you to get motivated as well. The net worth target figures are for those making $470,000 or more. How cool would it be if you made much less but still managed to reach or surpass these net worth figures? There’s a myriad of ways to grow your net worth because there’s an endless amount of money waiting to be claimed! One of the best ways to manage your net worth is by signing up with Personal Capital. I’ve used their free tools since 2012 to easily track my net worth and it’s made a world of difference. Before, I would input 25+ accounts in a spreadsheet and update the amounts every month. After linking up all my accounts on Personal Capital’s dashboard, everything is automatic. It’s important to track your net worth in order to optimize your net worth. You want to have a balanced distribution of stocks, bonds, real estate, risk-free assets, and alternative investments to weather the storm. The free tool also allows you to analyze your investment portfolios for excessive fees, calculate your retirement cash flow to see if you are on track, and manage your day-to-day cash flow. Take an active approach to building your wealth. Tax reform for 2018 and beyond suggests making up to $500,000 as an individual or $600,000 as a married couple to maximize the benefits of tax reform for 2018. The AMT income threshold goes up to $500,000 and $1,000,000 and the death tax threshold doubles to $11M and $22M. Unfortunately for many high income earners living in high tax, high cost of living areas, your state income tax and property tax deduction gets capped to $10,000. My husband and I became rich by him working hard and me raising the family of 6 on a tight budget. Money doesn’t make you happy however financial security does. From day one of my husband working as a physician we put money into our investments. I recommend Fidelity, Schwab or Vanguard. 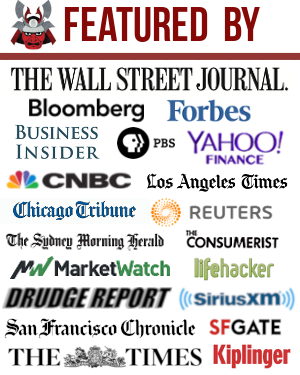 They all have great on line tools to help you invest well. My other piece of advice is to shop on sale, buy used and do not drive or lease new cars. If you follow this advice you will be able to watch you wealth grow. My husband is now in his 60’s and works part time because he loves what he does and not because he has to. Last I would tell everyone to live debt free. I agree with the previous commenter, the numbers here have a smell. How is it possible for someone in the top 1% at age 35 with income of $250,000 and net worth of $1,250,000 to have a net worth of $3,200,000 at age 40. Let’s do some basic math with the assumption that they can earn a very healthy 10% passive income on their net worth per year and their earnings grow 5% each year to reach $320,000 at age 40. Explain to me how it is even remotely possible to save 75% of your income after paying taxes and basic life needs like food and shelter. Taxes alone will wipe out 25%. Are these people homeless?!!! Somewhere your multipliers and extrapolations are off. Once again, while I love your blog, your estimates are WAY off. Your chart claims that if I make $400,000 at 25 with a net worth of $200,000 that I will grow my net worth to $800,000 which is almost mathmatically unachievable. So your take home pay is $200,000. Unless you want to live in the ghetto, your rent or mortgage will probably be $2500-$3000. So take $30,000 off the top. Now you’re at $170,000. Car, cell, internet, groceries, utilities, gas, clothes, other essentials needed to live are probably another $2000-$3000 a month. So now you’re down to $140,000 take home. You can’t be a hermit so you have travel, occasional dinner outings, hobbies, charity, etc…….. which is probably another $30,000 a year. You are left with $110,000. Even if you save every penny, you would be at $760,000. That’s assuming nothing changes in your life ever. No kids, no marriage, no job change, no health issues. Nothing can ever happen to you. Only at that point, with a constant increase in the market would you be at $800,000 net worth by 30. From there the numbers become even more ridiculous. Those who don’t believe, don’t achieve. What is your age and net worth? Are you saying most people should be in the top 1% even though only 1% can be in the 1%? Please read: Abolish Welfare Mentality: A Janitor Makes $270,000 A Year Why Not You? No not at all. Only the 1% should be in the 1%. My age is 41 with a net worth of $2 mill. I just challenge the multipliers as most of the calculations don’t add up. Saving 50% of your gross income is not attainable. Saving 50% of your net income is amazing. But at $400,000 a year, even a savings rate of 50% of your net income won’t get you to a 20x multiplier in under 20 years. How did you come about these numbers? I ask because although I hit the 1% income level, as with many people I didn’t stay there. And when I did make 1% income it was taxed heavily. This is why I reject the rhetoric that if you make high income you are rich. I could make $50K a yr and be rich, I could make $400k a year and be dead broke. ps, love your blog. I didn’t stay there either after I left Corporate America in 2012. It’s always been the case it’s not what you make, but what you keep. Here are two posts on how a $200,000 income earning family and $500,000 income earning family are just scraping by. The multipliers are based off first hand experience and careful analysis of what happens when you max out your 401K, save at least 20% of your after tax, after 401K earnings, grow your net worth by 10% a year, and build multiple income streams. I enjoy your blog and you do a great deed helping people achieve financial success. In regard to your last response your calculations are simply wrong. Your targets are unachievable unless a one-time non recurring significant financial event happens. Love your blog, but you’re simply wrong on your calculations. STLinvestor – That’s fine. No problem disagreeing. But instead of simply saying I’m wrong for what the top 1% net worth levels are by age, why don’t you share what you think is the right net worth amounts by age to help the readers? I’m open to hearing a sound argument. Everybody I’ve talked to in the 1% at various income groups have net worth levels similar to these amounts and actually skew much higher. If you’d like to write a guest post, I’d love to have it too! Thanks for your contribution. Ok, this is straight nonsense. Are most of you high?? I’m really surprised more people have not called out Financial Samurai for having completely inaccurate estimations of net worth by income and age. To say that someone at the age of 40 should have a 10 multiplier for their net worth is outright ridiculous. In his graph it shows that someone making $260,000 at the age of 40 should have a net worth of $2.6 million. Not sure what make-believe universe Financial Samurai lives in but that is an absurd multiplier. In his graph he is showing that a 25 years old generating $150,000 in income will amass $2.6 million in 15 years. Yeah RIGHT! Financial Samurai uses the example of a 25 year old earning $150,000 a year. After taxes of approximately 35% that persons take home pay would be $97,500. Assuming this person did not come from wealth it would be safe to assume that they would have $500 a month in student loans, so the new take home pay would be $91,500. Also, if you work at most corporations then you have to pay for part of your healthcare which is usually about $200 a month after tax if single which would now reduce your income to $89,100. Also, if you are being paid $150,000 right out of grad school, odds are you’re not living in Lincoln Nebraska but more likely in a major city. Making an assumption that this person would be extremely cost conscience, let’s say they decide to split an apartment with a friend. Even a modest apartment in a major city is roughly $2000 a month. So if you have rent of $1000 a month plus utilities of another $300 a month then your annual expense would be $15,600 which would now reduce your take home pay to $73500. And unless you want to be a social pariah it’s safe to assume that any 25 year old living in a major city will spend $750 a month for social outings such as dinner and happy hour so reduce your take-home pay by another $9000 which brings it down to $62,500. Now, I’m not advocating for living beyond your means, but unless you live in Silicon Valley where you can dress like a 16 year old mall rat to work this person would probably need to spend some money on clothes. Remember, in the corporate world you must dress for the position you want, not the position you have. It’s called “investing in yourself” and it begins with buying some good suits and business casual attire. Purchasing and routine dry cleaning would be an additional $500 a month (on average) so take another $6000 off of your take-home pay which is now $56,500. Let’s not forget about your cell phone bill of $100 a month, your car insurance and gas of $200 a month (assuming no car payment which is a bit silly but I’ll give it to you), groceries of $400 a month, one annual vacation of $2000, and miscellaneous expenses of another $250 a month and you’re at a grand total of $13,400 which brings your take-home pay to $43100. Now, don’t forget that as you age you have other expenses that come up, like marriage. Also, I’m sure that at some point between 25 and 40 you’d like to move to a house. As in most major cities, a house in a good school district will set you back about $625,000. I live in St. Louis and the average house in the best school district is about $700,000. So now your “rent” just went from $1000 a month to $3000 a month. Plus you had to pay to move and buy new furniture. Even if I used the math that Financial Samurai would have you believe is attainable and set aside 28% of their income this person would never even get to half of the estimated net worth! If this person saved 28% of their income ($43100 of $150,000 is 28%) over the next 15 years as their income grew from $150,000 to $260,000 then this person would have a cumulative savings of $771,000. Add the $75,000 this person started with and some growth in the equities market and this person would be close to $1,100,000. Maybe. And that’s assuming that after getting married and having kids had zero effect on their savings rate. So while I enjoy reading Financial Samurai’s blog and have gained a few good pieces of advice, I’d have to say his “net worth estimator” is a bunch of crap. He should probably do more research before his next “estimation” tool is released. Marijuana is legal in more states btw, so maybe we all are! May I ask how old you are and what your net worth is? I’ve found most people who disagree with my net worth targets are under 40 and have not come close to achieving my targets, and those who do agree and who have achieved or surpassed my targets tend to be over 40. Is it possible you are confusing these numbers being applicable to everyone, instead of the top one percent? Let us more about yourself. What should top one percent net worth amounts equal? I’m happy to review some good fashioned financial analysis and reasoning. I’m 40 years old, earn above 1% income, and have a net worth of almost $1,700,000. I just think that if we are talking about “targets” then they should be levels that are attainable by most of the people in that specific category. I think your targets are unachievable unless the person lives a very very different lifestyle. I think those people that claim to have achieved those targets achieved it by an abnormal event, such as selling a business at its peak or an inheritance. And if that is the case, then those are one-time events and artificially inflate net worth for a few years but will eventually even out after several more years. For anyone who is working their way thru corporate America and investing aggressively they can attest that it is nearly impossible to achieve those targets through normal means. Don’t you think the multiplier should increase with age taking into consideration compounded interest and one-time events such as inheritance? That way, one would achieve the 10x multiplier by the time they retire versus only after 15 years of solid income. Otherwise, mathematically, the person used in the examples above would have to save over 50% of their gross income in order to achieve the targeted net worth by the age of 40. Highly unrealistic if you ask me. Again, this post tries to calculate the top one percent net worth levels by age group. Therefore, by definition, 99% of people will not reach these levels. If you earn a top 1% income for your age, that’s great! Now look to save more, because you can, invest more because you can, and perhaps leverage your money to generate more income. $1.7M for 40 is not bad. I encourage you to get motivated if you want to grow your wealth instead of try to bring the numbers down to fit your situation. LOL, ok I can’t resist,.. yah, stop thinking like a liberal. Yes, originally when I saw these numbers and my net worth didn’t match I did the same thing but after I thinking about it, then reading about upper income I realize what I was doing. Besides, I’m upper income and doing ok. I think we just put a lot of pressure on ourselves to keep doing better. I understand the idea of: do I really need more? However, I have a different mindset about this. I believe that it is my responsibility to make the world better. If I can make $100m by my 60s and then spend my retirement finding a way to use that money to make people’s lives better, I think it would be worthwhile and a good way to spend retirement. This all depends on your purpose or driving motivation in life. My primary motivation is to “flatten” the playing field; that is, to support a societal structure in the world where meritocracy is increased and spread so that even the unluckiest child in the world has a chance to grow out of this. I know I cannot achieve this but it is an internal fire that will not be put out, simply because I know my odds of success were 100% created by my parents choice to move here after I was born. 1- Net worth at higher levels becomes fuzzy. Mainly what happens is that you end up owning a lot of stake in private businesses usually (yours or others) and it can become extremely difficult to get exact values on those. Remember that many of these businesses are not liquid either, so it depends how much of a discount you want to apply to it, depending on the market climate. Right now, if you are a startup founder and you have 50% shares in a privately held company that just raised at a $25m cap, you are technically worth over $10m (on paper). If all you had was student debt, you would be 1% wealthy…although you may still be struggling to rent a place in Silicon Valley or Manhattan. 2- Even if you arrive at a number, it is biased by your industry and the current economic cycle, because many these people are entrepreneurs and a lot of the asset side of the equation is in the form of non-public securities. Also, this varies by sector. For example, a $1m per yr net software business may be valued at $20m vs a medical practice valued at $3m. During the recessionary cycle, that $20m software business could go into the red and never recover. 3- The 1% income group is different than the 1% wealth group. The 1% income group includes people with sales of property or business every year as well as several professionals and entrepreneurs. In NYC, for ex, it is extremely common for a married professional couple to break $400k per yr in their 30s or 40s. Very few of those people will break the $10m net worth barrier. In fact, because the lifestyles for families are expensive on the coasts, it is not uncommon for a family with that income to save $40-80k per yr. It’s hard to get to $10m that way. 4- There is a lot of volatility in the top 1% income group as only about half of these people will stay in the top 1% for a decade, a lot of which is driven by entrepreneurs and those in finance and real estate. 5- Given that so many top 1% income earners are unable to save enough and also that the group changes over time, what you will find in the top 1% wealth group are a lot of entrepreneurs and/or financiers, most of which had at least one large liquidity event or who are excellent at asset allocation. It’s reasonable to assume as you go from top 1% wealth to top 0.1% wealth to Forbes billionaires list, that the average compound return rate over decades goes up for the individual. The summary of all of this is that if you want to make it into the top 1% income group, you can just get a great degree and partner with someone and get a job in a large city and you will probably break into it. If you want to make top 1% wealth, you have to save significantly and you need to grow those savings at a greater than average rate (either inside the company or outside the company). You also need to be lucky in terms of the economic cycle. As a last note, the path to the top wealth levels is much easier by growing a business than anything else, imo, because you are basically thrown cash incentives to grow this via tax breaks and ultimately when you sell your business at multiples of earnings, you only pay capital gains. My overall perception in the US is that entering both of these groups (top 1% wealth and income) is achievable by many more people than realize it. I started as an immigrant and have achieved both at my age (late 30s). Even 5 yrs ago, I never would have believed this. Almost all of the individuals that I have met that are worth over $30m built their own fortunes as well and they all felt the same way once they made it – surprised! thanks for these points. it all makes sense, specially the last one. also an immigrant here and business is paying my bills. while i believe it will make me couple millions i would have to triplicate it to make 10 millions, which is doable. Then again, when i come here and other retire early posts it makes me feel why do i need 10 millions or 30 mill if I will not use it all. Anyone wants 30 millions but you have to work for it it wont be that easy, all i am saying is doable. Right now I am 28, i dont know how much money i be worth in 10 years but it has to be at least 2 to 3 millions. I prefer to hang the gloves early be semi retire for the rest of my life and maybe spend 50 to 100k a year from the passive income. FS – Not at the 1% by any stretch, however wanted to ask your opinion here for early retirement. Is if feasible for the following: We are a couple age 40/45 no kids, and our net worth (not including our home) is currently $1.45M – which includes real estate and savings/some stocks. If I am understanding your input correctly here, 20X our net annual spending to live (currently @$72k per year in California) takes to just about what we have currently with our net worth now, and that’s not including the home. Can we retire now?? We have thought about selling our CA. home and paying off a home in another state in cash, eliminating a mortgage which would take our monthly spending down. Also we plan to internationally travel for 2-5 years abroad in Europe/SE Asia, so I estimate our monthly money needs during that time would be less. We will also start to get roughly $2200-2600 per month in rental income end of this year as well. Can we do it? Or better to wait a couple more years – ultimate goal would be to be worth $2M but is that overshooting? Thanks love your website! financial independence means that your properties, equities should pay for your lifestyle. so, overseas you will spend a lot less than in usa which means that $ 2000 should be enough, if you will make $4000 you can live plenty! even in the states. now, if you are planning to be outside usa for 2 to 3 years in a row why not rent or buy a cheaper home in usa and then rent it out (with management companies) then again in 15 to 20 years the social may kick in for extra spending. if your home is worth more than 500k you need to liquidate and put that money into work otherwise you will have only 1 million invested. reality is with your income and that networth means that you have saved a lot and know how to manage it, cheers. While reading this article I was thinking “Man, $8,000,000 doesn’t seem unmanageable – just difficult” and after I read it it occurred to me this was the top 1%. Meaning, statistically, it isn’t going to happen. That only lit the fire. I’m currently making pennies, but I’ve got the knowledge and desire to make my own way. That’s why I started my own blog and a consulting gig, along with looking for business ventures to join. I’m like you Sam, seeing someone with more than me just makes me work harder. That’s why I keep those homes and lifestyles on my favorites list. I work a lot, but I schedule family time and I schedule “me” time. It’s just the necessity of life now and days. So often times I see people file jointly would those 1% and 0.1% numbers include the jointly filed returns or how can we be sure those are all just a single person’s income? Just curious how that works. Either way aiming to get there one day! Just wanted some perspective. It’s reported income per filer. The filer can be an individual or household. Hard to discern. But a household is a team. So take it as you will! Well, I was never in the top 1% of income earners, but I feel pretty good about becoming financially independent at age 38. That said, we don’t live in California, so our taxes and cost of living are also lower. Referring to your variation chart. Shouldn’t you want to decrease your net worth (from spending) as you age tho? I mean, who wants to die with that much money to leave behind? 5 Million to your kids seems crazy too me. Come on, live a little!!! Yes. Decrease from $8M+ to $5-6M to avoid the 50% estate tax. You don’t have to leave all $5-6M to your kids. Leave it to charities and other great organizations you believe in. I’m not your target market, but I really appreciate your posts. They are clear and inspiring. I’m glad your retirement includes educating me. we make 200k at 28, we also may sell the business soon for 1.1 mill, while i am at 500k networth we may just pass the mill and half if the sale goes through, crossing my fingers here. selling would save me 7 more years of work.. I would encourage you to NEVER SELL your cash cow business if you see it being viable for years and years to come. Income producing properties are very valuable in a low interest rate environment. I was feeling very tired because of all the hassles, the paperwork, getting audited (and won), so I was thinking about selling my business. I remember reading “never sell your cash cow” (I think it was at financialsamural?) and I thought, very true, so I decided against it and have now invested in infrastructure. I’m more blessed than I realize with an income of $500,000, and massive amounts of depreciation, do you think it’s immoral to accept free healthcare. It depends on the circumstance. What is the circumstance and how do you get free healthcare when you need to make less than $30,000 as an individual to get a 100% subsidy? I am on the front end of depreciation, that allows me to show no income, while having a year where I made a substantial amount of money. My accountant said that the ACA subsidy is based on AGI and I qualify for a 100 percent subsidy. I need 46,000 each year before taxes to have 36,000 each year to live on in California according to https://www.taxformcalculator.com. That is my goal. So I’m over half way there with a networth right now of 462,658 (46,000 X 20 = 920,000) but I’m trying for 1 million and will keep working and saving until age 60 when I can start withdrawing from my IRA and 401k. I only make $71,000 before taxes each year so it will take me longer and I don’t want a second job or a roommate. Correction–the tax form calculator was wrong and according to https://www.paycheckcity.com/calculator/salary/result I need 50,000 before taxes to have 36,000 after taxes in California. So my 1 million goal is correct according to the 20X rule. I’ll also have extra income from social security which will be in addition to the 1 million. Good job on the planning! Just make sure to account for inflation if you haven’t so you’re properly prepared! GL! As a sole bread winner while my wife cares for our children, I’m proud enough that we can live in Silicon Valley as a single income family and still keep the net worth number moving in the right direction. When you completely give up your career, you would want to be conservative. After a year off, you won’t have too much issue getting back in. But if you realize after 5 years that you weren’t quite FI, then you are going to have a difficult time getting back into your former career level. I am aiming for 25x – 30x my current annual spend, to be FIRE. I am top 1% by the Guvenen, Kaplan, and Song list at 35, but will need to work until about 40 to be comfortably FIRE. Sam I would be very curious to see what the 1% save out of that 380 ish salary per year. For example I make 120k per year and save (post tax) 60k per year after all taxes and personal expenses. The same person making 380 a year with a family of 4 and and huge home could be saving very little. Do you have any stats on that? Great insights! I believe what you said that there are 1%’ers out there who have financial stress but that it’s self-inflicted. I remember watching TV specials on that couple who are trying to build their own “Versaille” and all the troubles they’ve run into. Talk about excess – that development project is totally self-inflicted financial stress. Getting rich and staying rich takes discipline and being smart with your money. Hard work and avoiding lifestyle inflation makes a big difference on being able to accumulate mega bucks and not lose them. I’m assuming your 20X multiplier is on gross income, which would be pretty conservative. Your bloggy colleagues, including one with a top 1% income that likes to ride bikes, like to use a 25X multiplier, except on expenses. Big difference. If the savings rate is even higher, then the difference gets even larger and your 20X multiplier gets even more conservative. What do you consider an ideal savings rate in conjunction with your 20X income multiplier? My 20X multiplier in gross income keeps things simple and allows the multiple to be easily compared across industries, countries, and job functions. It assumes people don’t spend more than they make. The main difference between Bike Dude and I is that I don’t try to convince people to live off very little in order to make huge money from my site. I’m much more focused on growing our income, which is more challenging to write about, but it’s more fun for me. Do his readers realize the large sum of money he’s been making for years now? The income is so steady. Is that realistic? I wonder if the 1% has up and down income. I assume most of them are business owners. The net worth looks okay to me. I think at this level, each person’s finance would vary quite a bit. It all depends on how much they save and invest. I’m just using the reported overall top 1% income by the IRS and rounding up from $380,000 to $400,000 due to inflation as the income is several years old. $400,000 becomes an income to shoot for during the younger ages and more of a minimum income to maintain for the older ages. There’s a second chart that incorporates variable top 1% income by age using the same income multiplier for readers to review. I read somewhere that only a few top 1% of income earners don’t maintain that spot year after year. Unfortunately I can’t find the source anymore. The people in the 1% will change year to year. Some people sell a business and jump up a bunch. Others have a bad year and income drops 20%. (construction businesses shrink 2009-2011) The aggregate numbers won’t change a lot year to year but even those change some based on the economy. I just answered your question before reading it. Yes, people move in and out of the 1% all the time. That’s why when people falsely claim high income means you are rich, it angers me because it is not true. High income does not mean you are rich. I would like to poke and prod this for a moment. I agree that financial stress is largely self-inflicted for high income earners, and often lower-income earners, for that matter. Where I disagree is the inevitability of lifestyle inflation once one becomes a high-income earner. As you have written so eloquently in the past, Sam, lifestyle inflation is primarily motivated by vanity, keeping up with the Joneses, and laziness. Perhaps other readers can comment from their own experience – I am solidly in the middle/upper-middle class by earnings alone – but I imagine that to a certain extent, most of us already live vastly inflated lifestyles as it is. If my income went up by $100k per year overnight, I don’t think my lifestyle would change much, if at all. Am I just weird? It’s hard to know until it happens. Have you had a large $100K jump in income before, or surpassed $400,000 in annual income? Things start looking less expensive the more you make, and spending becomes easier as a result. It’s kind of like folks underestimating their risk tolerance. Only until they go through a huge downturn do they realize…. hmmm, maybe my risk tolerance isn’t a 7-8/10, but more like a 5. And finally, it’s kind of like gaining weight since high school. We go the path of least resistance. It gets harder and harder to stay in tip top shape b/c it’s no longer necessary. Did you ever think to yourself if you came into money what would you do? I did…. I am high income (was higher) but when I made much lower income I wondered what I would do if I came into money. Then it happened, I started a business and it became successful. Before I could enjoy it and since I took out personal loans I paid down debt and built a business emergency fund. Then I built my personal emergency fund, paid off the house, contributed max to my 401k and built a post tax retirement fund. Since my customers are upper income I did have to spend some money to up my lifestyle but while not on business my lifestyle has not changed much from my previous life. I do have to say one thing,… I was “shocked” how much I had to pay in taxes. It felt like a kick in the stomach and I stopped working so hard, stopped re-investing and hoarded. Thank god I did, business naturally slowed down some but I enjoy life more. Some day I’ll be able to relax I guess, but at my age, I know I won’t get help in my elderly years so it’s up to me to make sure I can pay my way. “The more you make, the easier it should be to save and grow your money.” I think high earners have a HARDER time saving than those earning less. This is because they are surrounded by other high earners who spend, spend, spend! Once you buy one nice thing, you need to replace other items in your life so that everything can match your new found level of luxury. It is easier to suppress the first desire than satisfy all that follow. Another trap high earners fall into is expecting their earnings will ALWAYS be high. They think they can save down the road, only after they’ve picked up the luxury car, luxury house & luxury vacations. Then the market for their business goes belly up and they have nothing to show for a decade of high earnings. As you put it, if you can’t save 30% at 400k, then there’s a spending problem. Luckily for us, the IRS and the economy loves high earners who spend the vast majority of their money on taxes and on consumption. I didn’t want this comment to be too long, but thanks for writing on the 20x expense savings and your experience talking with other early retirees. I’m 27 now and expecting to hit FI at 35. Similar to yourself and your other examples, I’m essentially overestimating how much we need because of that fear of the unknown. Realistically, FI at 32 is feasible and sound for us, yet much more scary. Yes, it is better to be safer than sorry. I use a 20X multiplier on gross income to be more conservative. And when you get to 32, it will come sooner than you expect, and I think you’ll happily work to 35 just to shore up extra funds. It’s not that old at all. When you know the end is near, it’s easier to just push on through. Overcoming The One More Year Syndrome To Do Something New – This syndrome is one of the toughest things to break when you’ve hit your number. B/c just one more year will mean X more dollars. And when you only have to do one more year of something, it’s easy! It’s Impossible To Stay Retired Once You Retire Early – Another interesting bit of insight once you get there. It is nice to see you were still challenged to do work shortly after pulling the plug in finance. I’ve seen you mention that a few times, but I haven’t seen it broken out in such detail before. Thanks for the links! If you drive around SoCal on the 101 or 405 on nearly any given day, you’d get sick of seeing so many Teslas, BMW’s, Maseratis, Mercs, and the less common but not rare Lambo. I would venture a guess that many of those proud owners are not meeting Sam’s 10% rule. I’ve been tempted to fit into the crowd, but with that type of luxury to compete with I don’t think I’d feel special unless I’m in a Bentley! Yes I drive those roads and wonder if most of those cars represent the occupants’ entire net worth? I am motivated by such beautiful cars and homes to work harder. Inspiration from various sources always, and getting to experience some of those other aspects even if just vicariously lets you see whats out there and broadens your growth mindset. Although, i’ll drive the Honda till the wheels fall off, its still fun to go to auto shows and see the next generation of concept cars or like you did same take a jog with a motivating environment. Its even inspiring to read how some entrepreneurs are able to give back because of those achievements as well, a lot of good can come from building value. Awesome post! The net worth numbers are a stretch. 46 — $800k income – $ 3.7 million net worth. Making 1% income since 2008. 1 divorce, 2 kids. This is great information that I haven’t seen published anywhere before – thanks for sharing it. When I look at the table, I feel good about our decision to early retire at 49 years old 4 weeks ago. This shows top 1% net worth for the US, I imagine by global standards the top 1% would be much lower. Fair play to the handful of your readers who are multi millionaires. I suppose what your results say are that everyone aspires to be richer because they think they will be happier. But perhaps they will always want to richer, and happiness will just be out of reach. Maybe if people couldn’t see how other people lived (seeing celebrities with cars, holidays, houses etc) then they wouldn’t feel the need so much, to need and want a lot more than they have. Maybe people would be a lot happier and not spend money trying to look like they have achieved a type of lifestyle when they can’t actually afford it. Not everyone wants to have a lavish life with luxury cars and mansions. I myself just take pride in it as it’s a tangible way of saying that you “accomplished” something. At work I get paid more and it makes me feel more important, respected, accomplished. I’m trying to get rich in order to buy free time, not things. My guess is that the vast amount of multimillionaires are not as you describe. I would guess the majority of them do not desire the “fancy” lifestyle. They are the small business owners or professionals who do make a good income but since they do not desire the material things most people view multimillionaires as having they save and invest. Multiply their savings and investments over a extended period of time and wala, their a multimillionaire. Take Sam, for example. If you ran into him at your local tennis club pulling up in his Honda Fit would you guess he’s a multimillionaire? Probably not. On the flip side, the guy who pulls in with his new BMW and designer clothes could be in debt up to his eyeballs. The celebrities people see with all the flash are the exception, not the rule. I’d say there’s definitely a level of motivation here. But I would also estimate the magic multiplier to be more like 25x or even higher to be more conservative. Especially if you are retiring early, that means you have a lot of years to be supported on by the investments, so you won’t more cushion because more crazy stuff could happen in the longer retirement. I am no where near this chart but it is still interesting to see where the top income earners should track. LOL Apathy Ends. I remember when I used to work a W2 job and thinking the same thing as you… “If I made that kind of money I wouldn’t be working very long”. One good thing about getting a late start is by the time you get to that point, at least for me, I was looking for a way out of W2 income. Fortunately for me, instead of growing my lifestyle with my income I saved hard also learned and do invest. My driving force was to never, ever have to go back to working in a hospital ever again… EVER! I think to have a strong driving force like that is important for success. Now that I’ve become kind of disincentives, although I still work but not nearly as much, I am used to living on less like I always did (well maybe a splurge on vacation every year) if I had to I could squeak by now without ever having to go back to healthcare, EVER :) The longer I wait, the better though. Do those $20 million dollar mansions really motivate you, Sam? I don’t have the Gold Coast down the road, but when I see ostentatious displays of wealth, I’m a bit demotivated. There’s a salary ceiling in medicine. Don’t get me wrong, we make good money but with a late start, school debt and very few (specialists / business owners / not me) making $1 million a year or more, the Minecraft guy’s mansion isn’t a remote possibility. That being said, I’ve realized I don’t want his mansion, and I’ll be happier buying time with an early exit in my forties than working until I’m in my sixties so I can call myself a decamillionaire. I could continue working day and night and probably catch up to your 1 percenters in my fifties, but I’m getting closer and closer to having my definition of Enough. I personally work for the “big man”, but to boost my income, I turn to real estate. Double my take home income by just having a side business. I don’t want to expand, as I don’t think my quality of life would improve with more income and more work. There is always a trade off, I’d rather have more time, live a bit frugally, but enjoy fully. “You work to earn money, but you can’t use money buy back your healthy and youthful time”. What’s the point? Many of the independent practices (business owners) found themselves spending more and more on overhead, trying to keep up with increasing regulations and bureaucracies. Which is why there’s been a shift to hospital / health system employment and consolidation of groups into multistate corporations. Of course, the CEOs and owners of the health systems and the founders of the corporations are 0.1%ers, but the vast majority of physicians are highly-paid, hard-working blue collar workers. Good for you for doubling your income with RE. I’m with you on living relatively frugally and valuing time over money. I agree with POF that there is a ceiling on practicing medicine. As Vivianne said, you really have to expand outside of your primary medical profession to really rake in the dough. One of the issues is that depending on what medical specialty you belong in, you might not have the luxury of time to double your income outside field without making big sacrifices of time. Most of us doctors don’t realize that until we finish our training at start working. Absolutely. I love architecture and design. They give me inspiration on what to do with my own humble abode. I’m also looking for landscaping ideas as well. One of the beautiful things about San Francisco are our old Victorians, Edwardians, and Art Deco homes. I love going to Europe for their architecture as well. If I can combine exercise with something else, like architecture, while gaining inspiration, that’s a win. I don’t need or want a mansion. I’ve already written about how I’ve downsized / rightsized and it feels great! I just enjoy getting injecting w/ motivation on what COULD be if I tried. I’m inspired by other people’s success. I’m also inspired by other people’s work ethic. OK, that makes perfect sense to me. I’m a big fan of the mid-century modern and just plain modern homes. Art deco is right up my alley, too. One can certainly appreciate and admire the mansion without wanting one as his own. I’ll be in San Francisco for about 5 days later this month. I’ll have to pack my running shoes! Great! Go to the Lyon Street steps. Beautiful area. Amazing homes. Wonderful views. Knock on a random door and ask for some Grey Poupon. I also love architecture and design so opened a construction company in Los Angeles. Enjoy your newsletter and I too get motivated when I see all the amazing houses here in Brentwood. Physician, I get what you are talking about. I also had a late start. I own a small business and while the business did well and I made good money it was a kick in the stomach to have to pay so much in taxes. And to people who love giving their hard earned money away, yes I understand that we must pay taxes but the amount we pay certainly takes the incentive away. Since so much is taken I’ve changed my attitude. I am no longer interested risking my money and spending so much time to grow the business (which would have led to having to hire more employee’s and lots more paperwork). Forget the money. Since they say I make enough and they can take the rest, I went with it… I work less now. Time is more valuable to me now.